The European Union and Germany’s Federal Ministry for Economic Cooperation and Development are funding a €3.8 million ($4.2 million) agricultural initiative in Ethiopia. 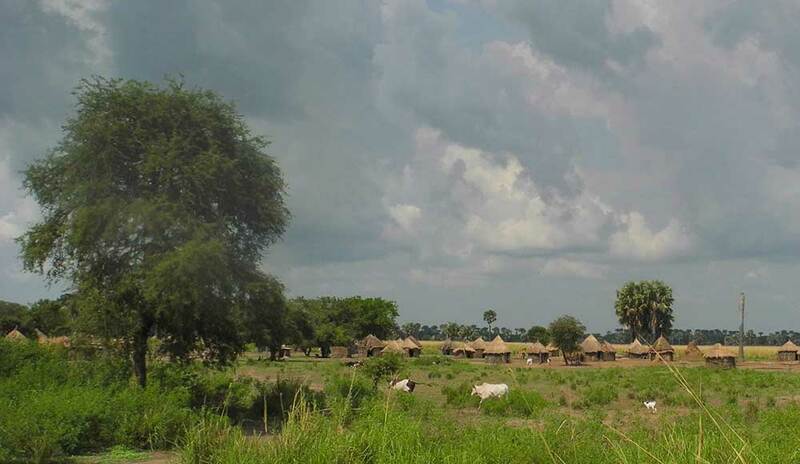 "Support to Responsible Agricultural Investment" (S2RAI), launched in March 2016, is a three-year long project focused on two western regions of Ethiopia: Gambella and Benishangul-Gumuz. According to documents made public at the project-launching workshop in Bishoftu on July 15-16, 2016, S2RAI’s main purpose is to contribute to "improved food and nutrition security by promoting secure land tenure and responsible agricultural investments." Yet, the project overlooks key facts with regard to food security, land, and the political situation in Ethiopia, which discredit this official objective. Ethiopia’s pro-investment agricultural policies have not only been marked by widespread human rights abuses, they have also proven largely inefficient. In 2014, a report by Ethiopia’s Development Assistance Group found that only 11 percent of the land attributed by the federal land bank to agribusiness investors had actually been developed. In addition, between 2010 and 2013, the productivity of commercial farms for major crops (cereals, pulses, and oil seeds) has been consistently lower than that of Ethiopian smallholder farmers. Such poor results prompted the Agriculture Investment and Land Administration Agency to suspend indefinitely its farm lease program in March 2016. The launch of S2RAI, however, risks fast-forwarding the comeback of large-scale land deals in Ethiopia. The project promotes a series of quick-fixes, such as "[conducting] studies on best practices and challenges with regards to responsible land based agricultural investments," "[developing] land lease procedures, standards and regulations for investors," or "[reviewing] and [updating] environmental and social safeguards for investments" to reform land tenure systems and improve investments’ performance in Ethiopia. Quite worryingly, S2RAI relies on federal agencies—controlled by the same regime that carried out massive forced displacements—to implement these measures, without organizing independent monitoring of the project’s impact. The EU passively calls for "meaningful CSO involvement" and "social audits," but this is entirely insufficient in the Ethiopian context. Since November 2015, the Ethiopian government has killed over 400 Oromo people peacefully protesting an urban development scheme that will displace farmers and negatively impact local communities. Political opponents and land right activists, such as Bekele Gerba, Pastor Omot Agwa, and Okello Akway Ochalla are still imprisoned for condemning the government’s abuses. As for NGOs, it is hard to imagine how they could be meaningfully involved in the project when their activities are controlled by the highly restrictive 2009 Charities Societies Proclamation Act, which limits ability to get international funding, allows surveillance and interference in the work of CSOs, and, over the past ten months, has led to the shut down of over 200 organizations. Why, in such a context, is the EU spending millions to revive disastrous pro-agricultural investment policies? In recent years, whether through bilateral policies or through common EU programs, European nations have increasingly used official development assistance to finance private sector investment in agriculture. Furthermore, they have participated in initiatives, such as the G7’s New Alliance for Food Security and Nutrition, with the objective to directly influence developing countries’ policies in favor of large-scale agribusiness investments. These efforts are put in place so that private companies can take advantage of developing countries’ land and natural resources. S2RAI, like countless similar initiatives, seeks legitimacy by putting forward a stereotyped "hunger-washing" rhetoric. But the project fails to explain why the EU deems large-scale agricultural schemes, which seek quick profit and are usually export-focused, better adapted to feed Ethiopians than smallholder farmers, who already contribute over 90 percent of the country’s total agricultural production.2 Meanwhile, Ethiopians suffer the consequences of past development schemes and of the devastating 2015-2016 drought, which provoked immense food insecurity and rising resource and water conflicts, notably between poor pastoralists and resource-greedy large-scale agriculture operations. With the continuation of S2RAI, the EU will be responsible for the grabbing of crucial resources and increased poverty and hunger in Ethiopia. This figure is derived from Ethiopia's latest Population and Housing Census conducted in 2007. See: Population Census Commission. Summary and Statistical Report of the 2007 Population and Housing Census. Federal Democratic Republic of Ethiopia, 2008. http://ecastats.uneca.org/aicmd/Portals/0/Cen2007_firstdraft.pdf (accessed July 26, 2016). Official statistics from 2012/2013 indicate that small-scale farmers contribute 96 percent of the total agricultural production in Ethiopia. See: Moller, Lars Christian et al. Ethiopia's Great Run. The Growth Acceleration and How to Pace It. World Bank Group, 2016. http://www-wds.worldbank.org/external/default/WDSContentServer/WDSP/IB/2016/02/16/090224b084187906/3_0/Rendered/PDF/Ethiopia0s0gre0n0and0how0to0pace0it.pdf (accessed July 26, 2016).